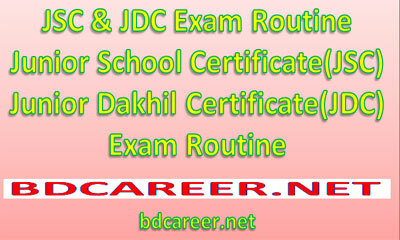 Download Junior School Certificate (JSC) and Junior Dakhil Certificate (JDC) exam routine. 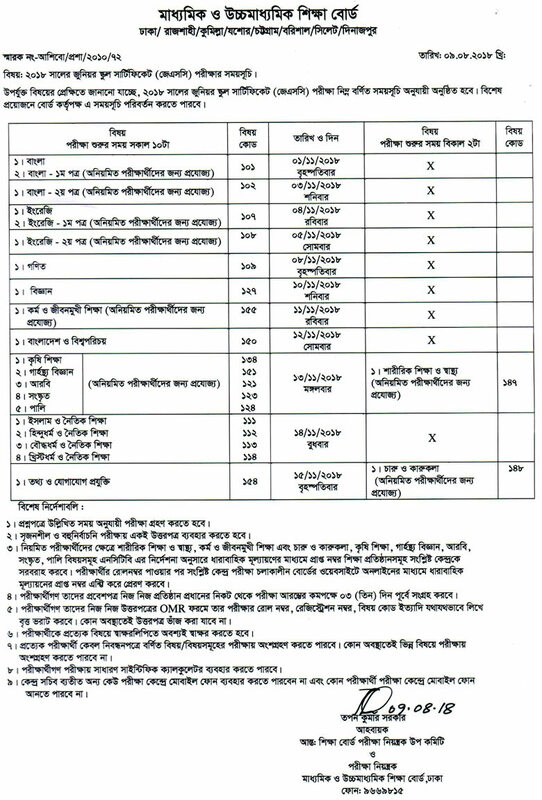 Intermediate and Secondary Education Boards Bangladesh www.educationboard.gov.bd is responsible for publishing online JSC-JDC Exam Routine and Result. Junior School Certificate (JSC) exam & result conducted by eight public education boards and Junior Dakhil Certificate (JDC) exam & result Conducted by Bangladesh Madrasah education board. Junior School Certificate (JSC) exam routine & result conducted by eight public education boards. The Boards are Barisal, Chittagong, Comilla, Dhaka, Dinajpur, Jessore, Rajshahi, Sylhet. Junior Dakhil Certificate (JDC) exam & result conducted by only one education board i.e. 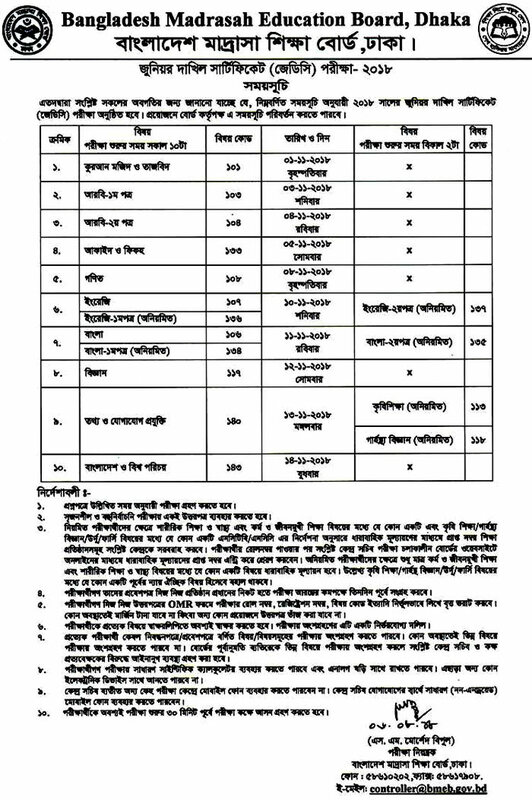 Bangladesh Madrasah education board. Congratulations to all JSC and JDC Candidates for their success. Hope everyone will be able to achieve their desired results.